The irony of a speakeasy is not lost on us. In place of an obvious signboard, these spots go for peculiar fronts and enigmatic signs to confuse their potential customers. But curiosity is a tempting mistress and a sense of adventure is all one needs to draw inquisitive people in. The term ‘speakeasy’ was once reserved for hidden bars but has since come to be adopted by any establishment that takes on the cloak-and-dagger visage. In Singapore, restaurants are following the path taken by their bar counterparts. Each of these restaurants offer unique dining experiences on top of their mysterious locations. Searching for them may potentially get frustrating, even with the help of a GPS. Fret not for here, we share tips on finding these places. During the day, Hua Bee Kopitiam sees throes of regulars for their traditional kaya toasts and their famous mee pok noodles (which incidentally is also the star of Singaporean cult classic movie, Mee Pok Man). But by night, the 70-year-old coffee shop lives a double-life as Bincho, a modern Japanese yakitori-ya. 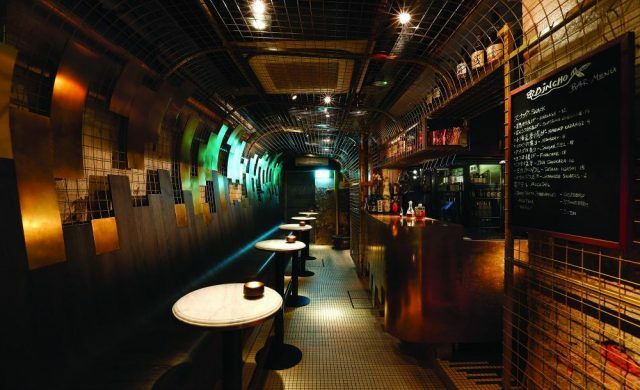 The unique concept is only accessible after 6pm by the backdoor where diners are invited to an industrial-styled chamber of copper and dim lights. 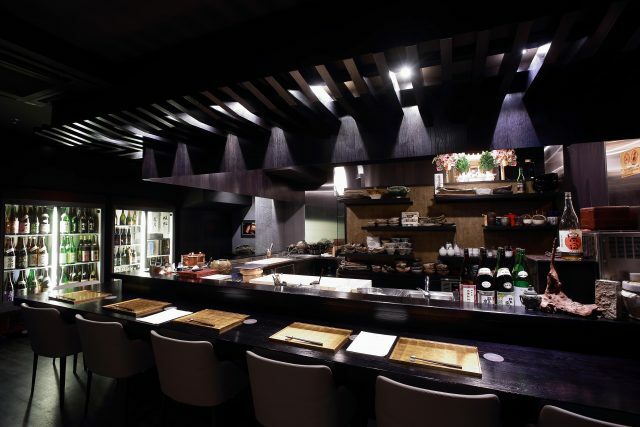 The open yakitori bar is manned by chef Asai Masashi who offers some creative takes on grills such as chicken breast with raclette cheese and chicken wings stuffed with mentaiko. A quick tip: head to the carpark at the back of the coffee shop, the door to Bincho is surrounded by aircon vents. It’s all hush-hush business with this restaurant pop-up. Located at a backdoor of Duxton Plain Park is an intimate space for 30 guests. The menu rotates every 20 days and is kept simple. There’s no fixed cuisine here, so the dining theme for the month can jump from free flow mussels from Belgium to free flow roast chicken and Mediterranean couscous. For instance, the menu in March is dedicated to raclette cheese and wines. Next month, the restaurant is for Chinese hot pot with free flow drinks. 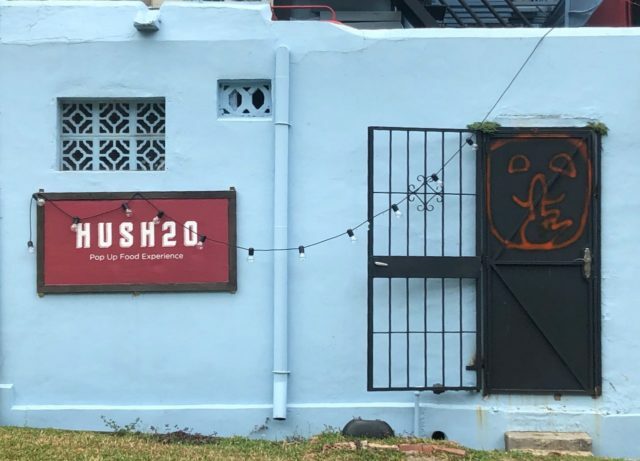 Hush 20 only takes reservations for 30 every night. Those lucky enough to score a table will be given directions to the place. A quick tip: drop a WhatsApp text. If you still have problems finding the place, head to the entrance of Man Man Unagi. Spot the graffiti on the backdoor of a near-by shophouse. Like the original New York branch, Burger Joint operates with an unassuming front. 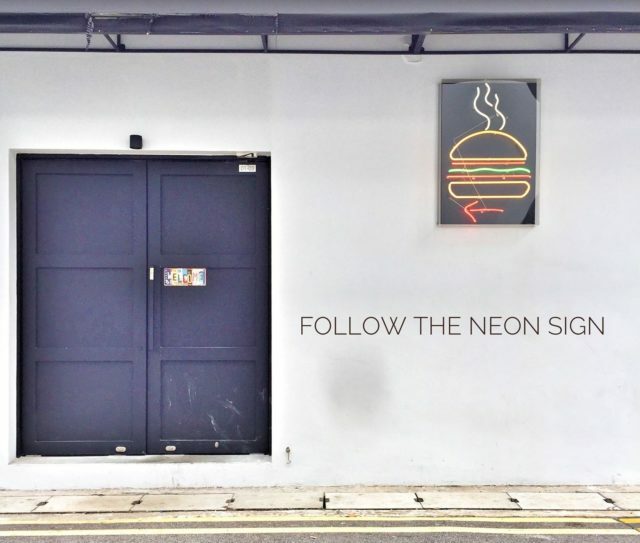 The cult burger restaurant is located at the back of Amoy Street, along Gemmill Lane, and can only be identified by a neon sign and a small ‘Welcome’ sticker stuck on the heavy bunker doors. Push pass the doors and thick velvet curtains will reveal a relatively well-lit restaurant with graffiti scattered all over the walls. There are several cheeseburgers to pick from the menu (scribbled down on cardboard). Go for the ‘full works’ — lettuce, tomato, onions, pickles, mustard, and ketchup — with your burger. 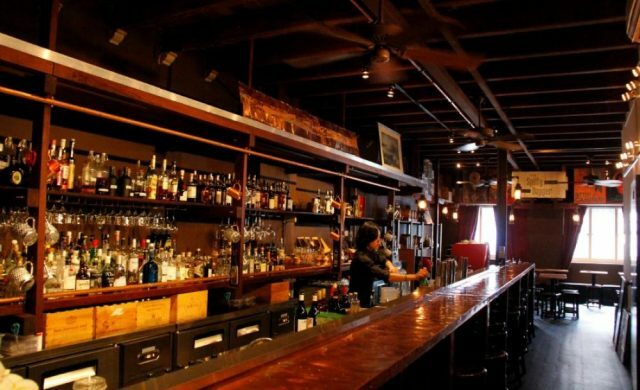 The bar here is stocked with 18 craft beers and a great selection of whiskey and bourbon. But if you’re up for a sober night, go for the milkshakes. You deserve it. A quick tip: walk towards the back of Ding Dong, where Gemmill Lane is at. Simply follow the neon sign on the wall. The cafe-by-day-bar-by-night concept is only identifiable by a small signboard. Hold on to your GPS and keep a sharp eye: Dapper Coffee is actually located right above Greek restaurant Alati. Dapper Coffee is best known for its Instagrammable coffees and cold-pressed juices such as the famous Unicorn Tears filled with edible glitter. The cafe recently changed its food offerings for a customisable nasi lemak menu. Its popular bakes are still available online though. A quick tip: the cafe/bar is right above Alati. Look out for the small ‘Dapper Coffee’ signboard. Climb up the stairwell and head to the door on the right. 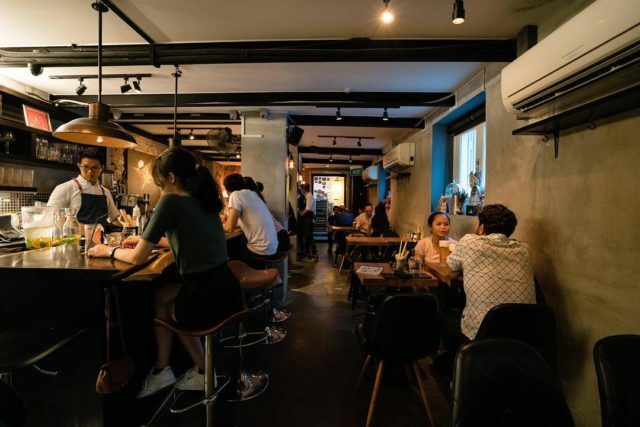 The Flying Squirrel is a modern Japanese izakaya and bar hiding on the other side of Amoy Street. Expect casual Japanese fare here, such as donburi, curries, salads and sushi. For the people in the CBD, it’s a quieter getaway for a relatively affordable lunch. The cocktail menu is also worth checking out here, featuring a slew of Japanese spirits. A quick tip: head to Aloha Poke and look out for an overhead sign with The Flying Squirrel logo. Follow the signs to the back of the alleyway. The Dragon Chamber, formerly housed in Plaza Singapura, has relocated to the back of a coffee shop along Circular Road. The contemporary Chinese restaurant now hides behind a fridge door, which reveals a space inspired by gambling dens and secret society houses. Like its previous incarnation, the 45-seater restaurant is armed with a menu full of exotic meats such as braised crocodile feet and roasted pig’s tail. The coffee shop front, also managed by the group behind The Dragon Chamber, doubles as a wanton mee stall in the morning and a bar at night. 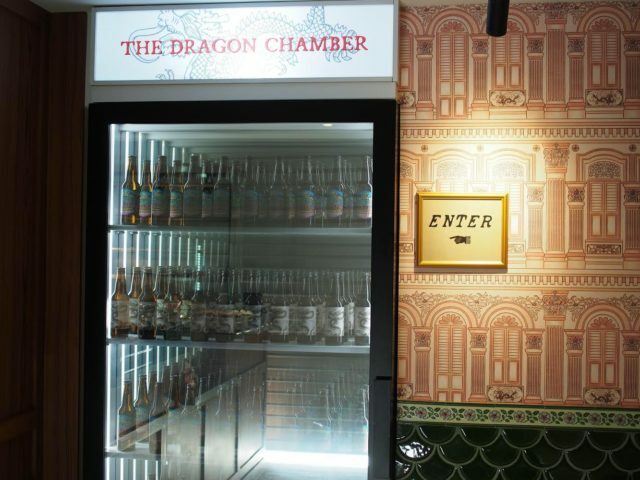 A quick tip: walk into the coffee shop and look for a fridge door with a small signboard reading ‘The Dragon Chamber’ above it. Open it and follow the pathway to the restaurant. Cuppage Plaza hides a Japanese gastronomic haven within its dodgy walls and karaoke bars. There are many good izakayas to explore in the area. But if all you want is some peace and quiet from the risque action around, the secretive Kappo Shunsui is the place to head to. There’s no storefront for this restaurant and it’s only identifiable by a plain, grey door with a keypad on the side. Kappo Shunsui serves kappo cuisine which sees cold and hot preparation of the season’s best ingredients. A quick tip: head up the fourth floor. If you’re taking the lift, turn to the right and look for the grey door. Hit the doorbell and wait for the manager to get the door. Subsequently, you can scan your fingerprint on the keypad to access the restaurant again.